Pest Control Company Specialized Pest Patrol provides effective, affordable and eco-friendly pest control servicing various areas such as Sacramento, Placer and El Dorado County since 1994. Call 916-987-9559 (Pest Control Folsom) and 916-224-7430 (Pest Control Sacramento) and get your first service free! Call Pest Control Company Specialized Pest Patrol immediately at 916-987-9559 (Pest Control Folsom) and 916-224-7430 (Pest Control Sacramento) to get your first service free. We are so confident that you will be happy with our pest control services, the first service visit is FREE! We pride ourselves in knowing that we offer the best pest control services in Sacramento county, El Dorado county and Placer county, so we offer the first service free as a testament to our great service. Pest Control Company Specialized Pest Patrol have built our business around excellent customer service and providing effective and affordable solutions for pest control and pest problems. View a few of our many great pest control service reviews taken from our highly rated Yelp page. Pest Control Company Specialized Pest Patrol Reviews, View our Yelp Page! We’re the top pest control company in both customer satisfaction and price! View one of our many great pest control reviews taken from our highly rated Yelp page. Whether you are looking to eliminate pests in your residential home or commercial property, Pest Control Company Specialized Pest Patrol has the equipment, experience and expertise to perform pest control of any size. We at Pest Control Company Specialized Pest Patrol are fully licensed and insured and use only environmentally safe chemicals that won’t hurt the earth or your family. We’re the top pest control company in Sacramento county, El Dorado county and Placer county! Our pest control methods safely and effectively remove pest infestations which can cause discomfort and injury like shown in the video below. All technicians of Pest Control Company Specialized Pest Patrol are certified and have passed background and drug checks to ensure not only a great job in performing pest control but also providing you added safety. The best pest control services require constant learning of effective methods with implementation, and we adhere to that making us the best in Sacramento county, El Dorado county and Placer county areas. Our pest control methods are the best in the industry with optimal results for our customers. Contact us at 916-987-9559 (Pest Control Folsom) and 916-224-7430 (Pest Control Sacramento) to see how we can help you with your pest control needs in Sacramento county, El Dorado county and Placer county areas. Pest Control Company Specialized Pest Patrol are pleased to offer our services successfully to the Sacramento County areas (Sacramento, Citrus Heights, Elk Grove, Folsom, Galt, Isleton, Rancho Cordova), El Dorado County areas (El Dorado, Placerville and El Dorado Hills) and Placer County areas (Auburn, Colfax, Lincoln, Rocklin and Roseville). Pest Control Company Specialized Pest Patrol removes pests effectively like the one shown in video below. We have experienced pest control technicians who have a wealth of knowledge and experience who has served our customers with great reviews on Google, Yelp and other websites. We have certified expertise in pest control of various types such as Spider pest control, Tick control, Wasp control (popularly yellowjacket wasps), rodent control, animal control (wildlife trapping), raccoon removal, ant control and much more. We regularly travel to the various areas below to help you with your pests and animal control (animal trapping) needs. For pest control removal and pest services in all areas of Sacramento County, Placer County and El Dorado County, contact us 916-987-9559 (Pest Control Folsom) and 916-224-7430 (Pest Control Sacramento) . We will be happy to have a Pest control technician come out to your local neighborhood. The Sacramento county, El Dorado county and Placer county areas are home to several pests and rodents such as Cockroaches, Earwigs, Yellowjacket Wasps, Raccoons, House Mice and more. Pest Control Company Specialized Pest Patrol removes pests in your area effectively and cost-effectively like those shown in video below. Pest Control Company Specialized Pest Patrol removes pests of all types such as Cockroaches effectively and cost-effectively like those shown in video below. The best way for a residential or commercial property owner to remove pests and rodents on their property is by seeking the help of a professional exterminator. Doing treatments and procedures on your own can seem like a breeze but pest exterminators and rodent removal experts like Pest Control Company Specialized Pest Patrol are professionally trained in handling and removing pest and rodent infestations in the safest and most efficient manner. PestControl Company Specialized Pest Patrol removes pests and rodents like those shown in video below. 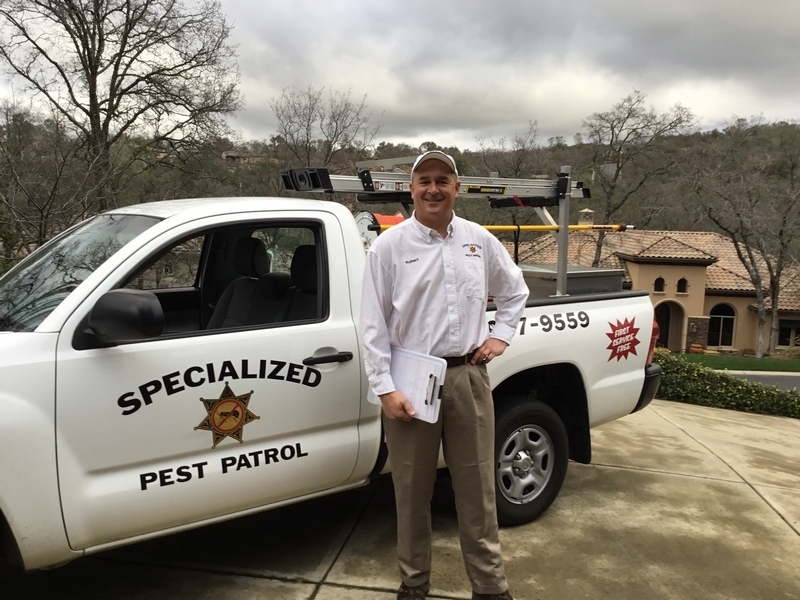 Pest Control Company Specialized Pest Patrol offers only the most modern methods and materials when handling your business in Sacramento county, El Dorado county and Placer county. We currently serve many of the most respected businesses in Sacramento county, El Dorado county and Placer county. Don’t ruin your businesses reputation and customers’ confidence, make sure to use Pest Control Company Specialized Pest Patrol to keep pests and rodents out of your business. Pest Control Company Specialized Pest Patrol is a top rodent control company! We remove rodents of all types such as rats and mice effectively and cost-effectively like those shown in video below. Pest Control Company Specialized Pest Patrol guarantees that your residential pest and rodent problems will be solved by our expertly trained and certified pest control technicians. Our honest and friendly pest control servicemen will quickly respond to your concerns and show up on time. We’re a top spider pest control company! Our spider control methods safely and effectively remove spider infestations as shown in the video below. Below are the reasons why it is best to hire Pest Control Company Specialized Pest Patrol rather than doing pest control, rodent control and wildlife trapping on your own. 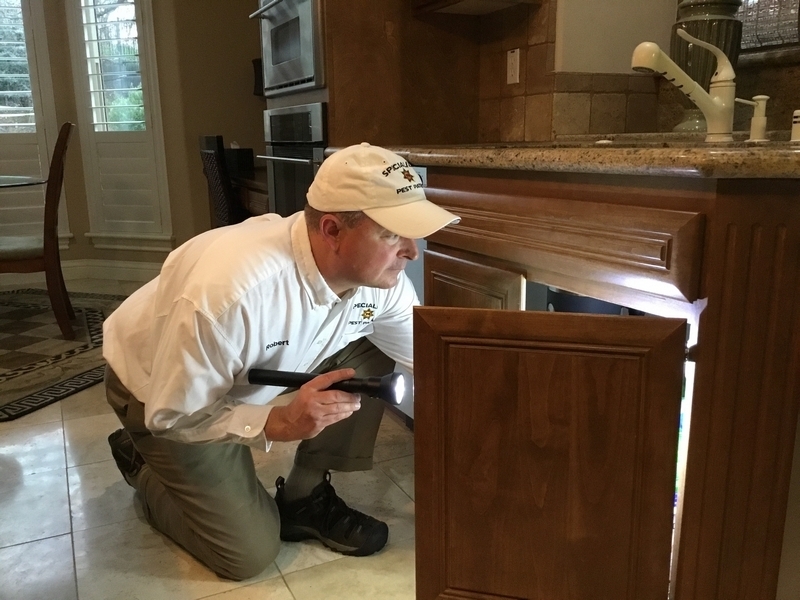 Effective Pest Control Inspections: We perform thorough inspections to identify the where pests are coming from so we can eliminate the problem effectively. A thorough inspection inside and outside of your property is important in identifying the source of their entry. Identification of the pest is very important for treatment, as finding that out can change our approach to effectively remove pests and rodents. Effective Pest Control Methods: We treat the interior and exterior of your home or business to eliminate the pests, rodents and wildlife that have invaded your space. Healthy Pest Products: At Specialized Pest Patrol we use the highest quality hospital grade chemicals which are safe and not harmful to your pets or children. Fully Licensed and Insured: Specialized Pest Patrol technicians are fully licensed and insured and all of our field technicians have a minimum of 5 years field experience. Great Reviews on Yelp and other Websites: Specialized Pest Patrol has great reviews on various websites such as Yelp ,Folsom Living and many other websites. 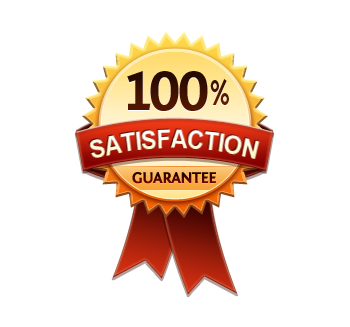 Satisfaction Guaranteed: At Specialized Pest Patrol we take pest control seriously! If you see pests inside your home while you are a Specialized Pest Patrol customer, we’ll return to treat your home at no additional charge guaranteed! Pest Control Expert Knowledge: Pest Control Company Specialized Pest Patrol pest exterminators have expert knowledge when it comes to pests and their removal. We provide the best pest control for and know all about the instincts and behaviors pests we encounter and use the most effective ways to get rid of them. We’re a top ant control company! Our ant control methods safely and effectively remove ant infestations as shown in the video below. Pest Control Company Specialized Pest Patrol provides the best pest control services. The top services we are often called upon to help with are Spider Pest Control, Wasp Control and Ant Control. We’re a top yellow jacket control company! Our yellow jacket control methods safely and effectively remove yellow jacket infestations as shown in the video below. See what our happy customers have to say in the Sacramento county, El Dorado county and Placer county areas. Pest Control Company Specialized Pest Patrol has over 20 years experience in solving pest infestation problems. We’re family owned and locally operated in Sacramento county, El Dorado county and Placer county. All of our pest control exterminators are certified, state-licensed technicians who are also fully insured and ready to eliminate your ant problems. Our pest treatment methods are the best in the business and the most cost-effective. Pest Control Company Specialized Pest Patrol knows how to get rid of pests and keep them from coming back. Call Pest Control Company Specialized Pest Patrol immediately at 916-987-9559 (Pest Control Folsom) and 916-224-7430 (Pest Control Sacramento) if you see pests, rodents or wildlife on your property. We provide Pest Control in Sacramento County which includes the areas Citrus Heights, Elk Grove, Folsom, Galt and Rancho Cordova . We provide Pest Control in Placer County which includes the areas Auburn, Colfax, Lincoln, Rocklin and Roseville . We provide Pest Control in El Dorado County which includes the areas El Dorado, Placerville and El Dorado Hills . Whether it’s Spider Pest Control, Wasp Control, Ant Control or any other pest control, rodent control or wildlife trapping service, Pest Control Company Specialized Pest Patrol has the experience, effectiveness and cost-effectiveness necessary to perform those services and remove your pest problems. Specialized Pest Patrol has been providing unbeatable service to our valued customers since 1994. Rest assured when you call Specialized Pest Patrol, you will be working with some of the best the industry has to offer. Our team of expert service professionals will walk you through the entire pest control process and are always available to answer any questions you may have. We’re not satisfied until you’re satisfied. Specialized means peace of mind when it comes to pest control. If pests return to your home between regularly scheduled visits, we’ll re-treat your home at no charge. Specialized Pest Patrol promises to keep your home protected from pests year-round. Our targeted ant control treatments focus on the exterior and perimeter foundation of your home. We limit the use of chemicals within the home. Specialized Pest Patrol’s program offers a guaranteed solution to on going ant problems. We offer professionally trained staff utilizing state of the art chemical formulations. Our pest control program will provide you with a pest free environment.